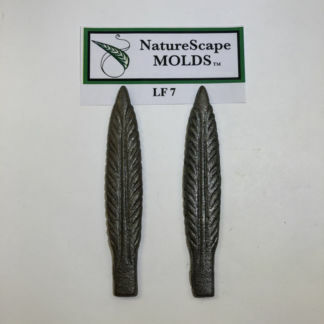 Durable Metal Mold LF 6 is sold as a set of two molds, measuring approx. 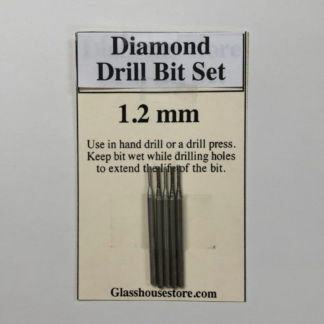 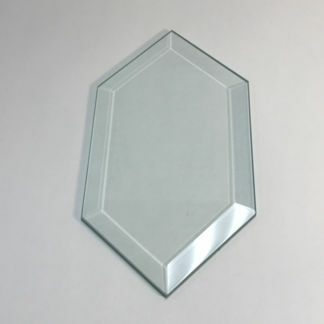 5″ x 2 7/8″. 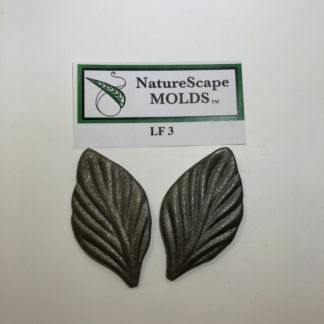 You can use two molds, with glass in between, to give you an unique texture on both sides of the leaf. 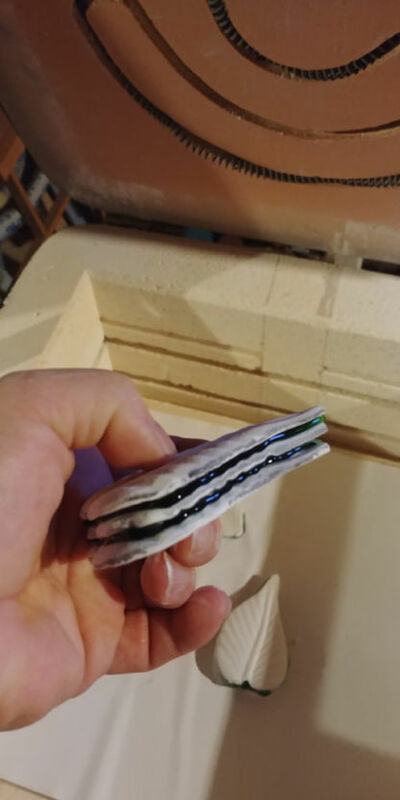 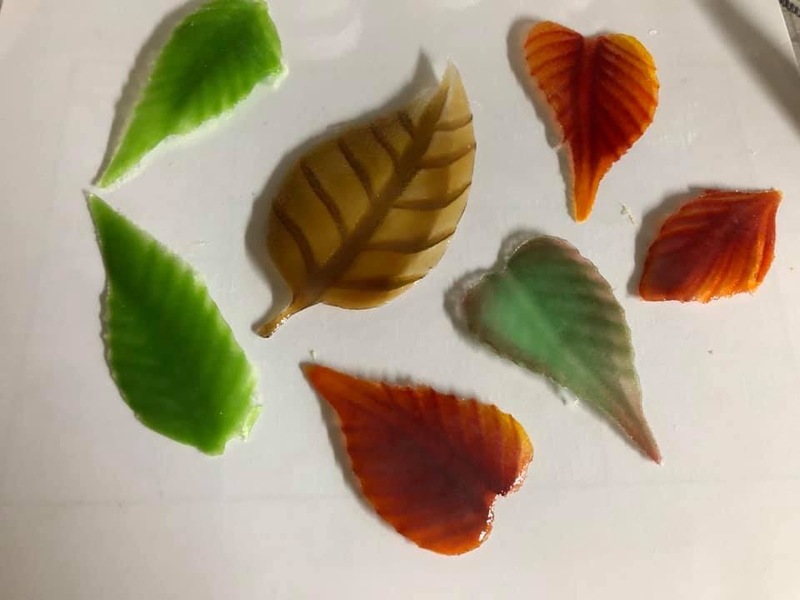 Because of the design and thickness of the molds, it may not nest completely like the other molds but will give you the double sided effect..
You can also use the backside of the molds for frit mold casting and create different colors of leaves with frit. 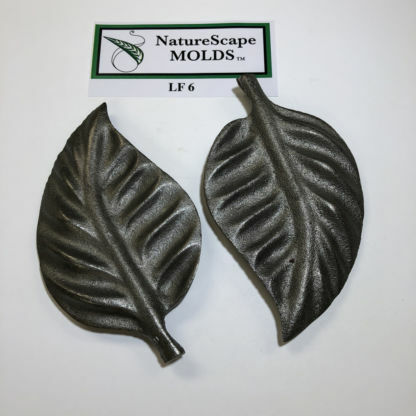 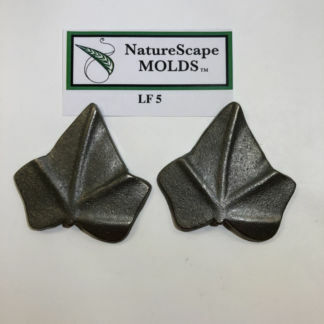 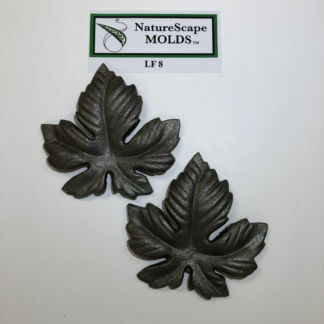 Looking for more information on NatureScape Molds ? 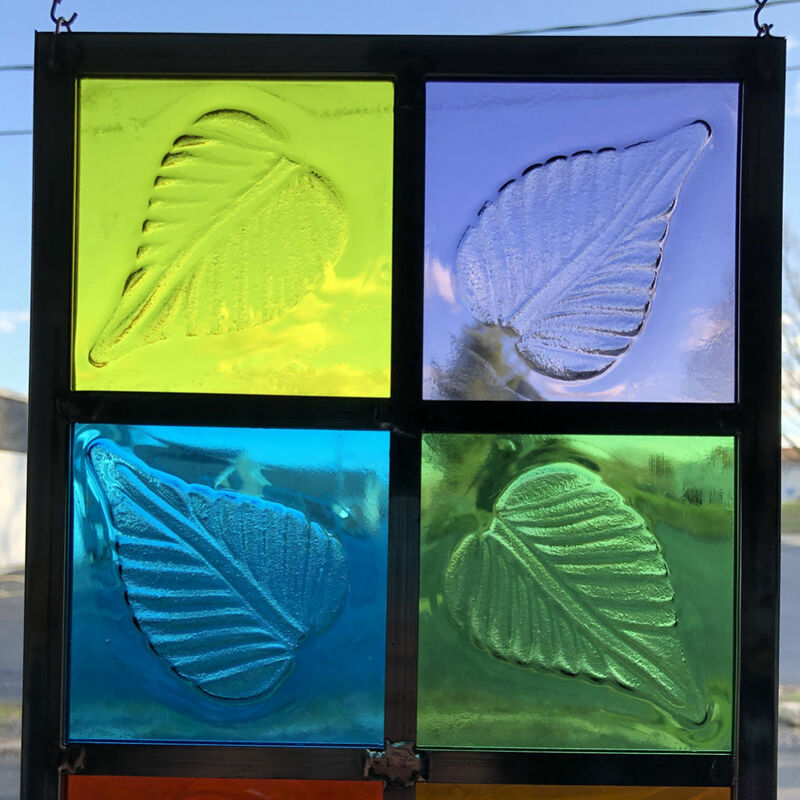 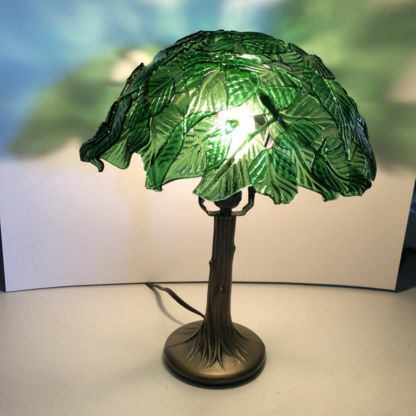 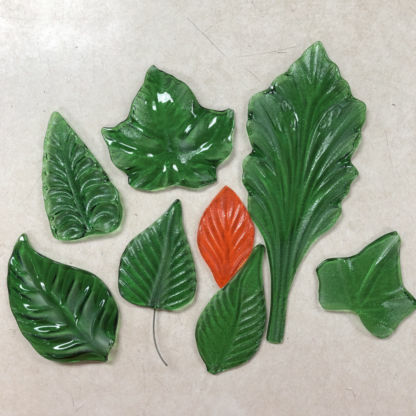 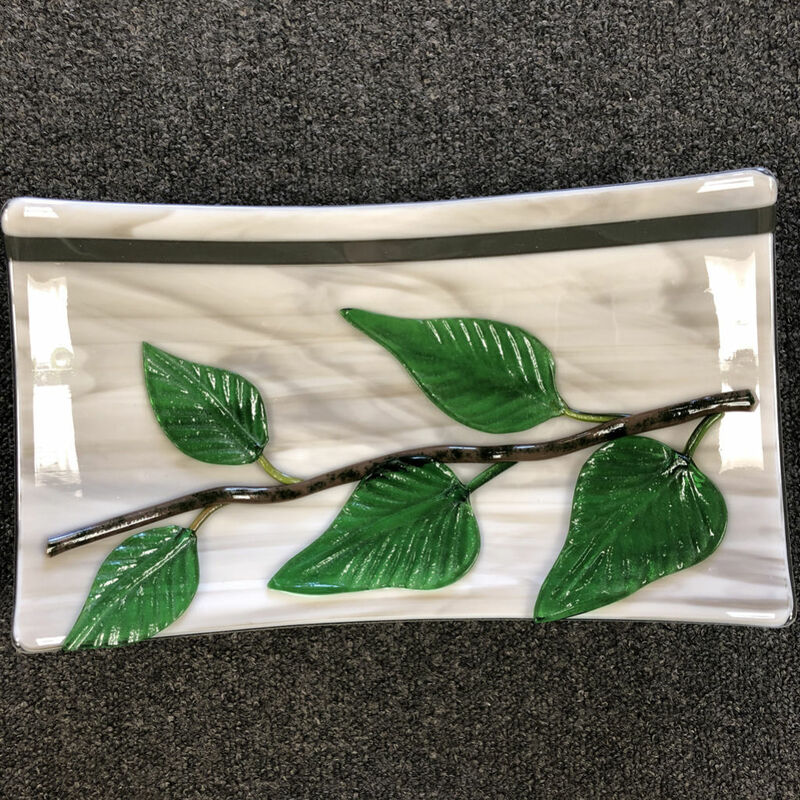 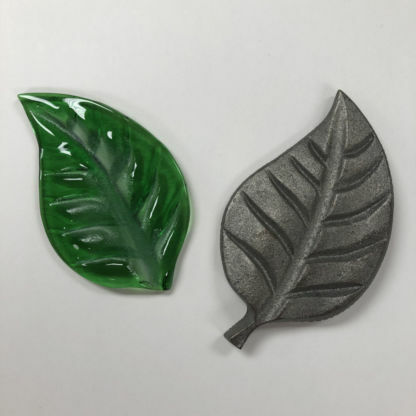 Need some addition inspiration check out our Fusible Glass Leaf Molds and Videos problem solver article.